Special program at the Library! 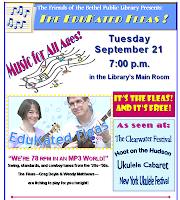 The Fleas are delighted to be doing this special program at the library. 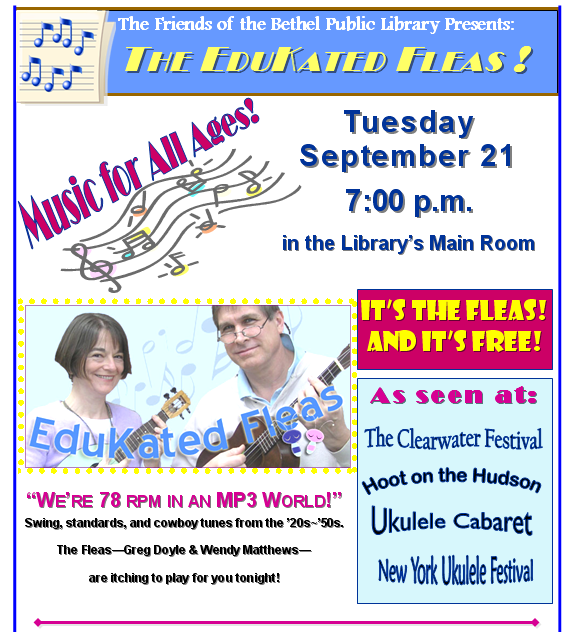 Come enjoy a concert of some of the Fleas' favorite tunes, and learn a little history of the ukulele too! Support live music! Support your local library! 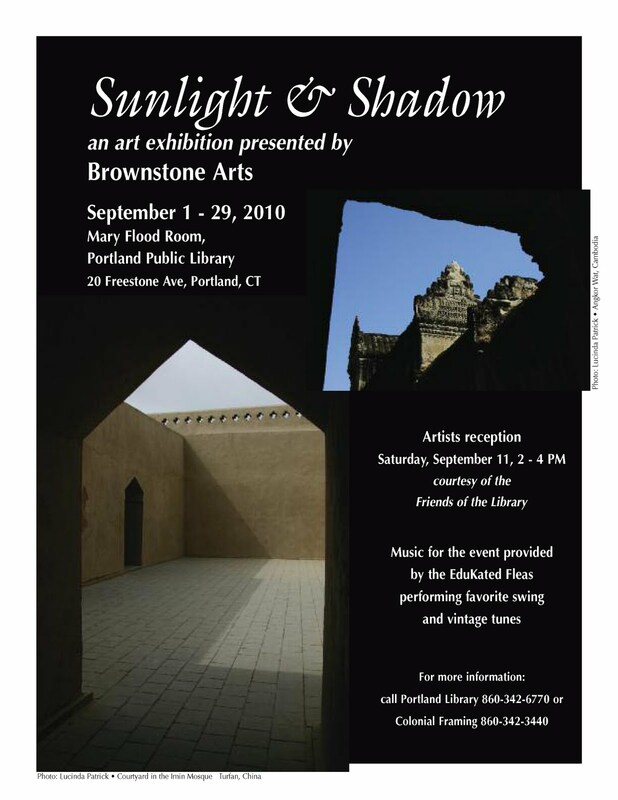 The Fleas will entertain at the artists' reception for the Brownstone Arts Sunlight & Shadow art exhibition, which will be held in the Mary Flood Room at the Portland Library. Paintings, pastels, watercolors, photographs, fabric art, and work in other mediums will be displayed. Refreshments courtesy of the Friends of the Library. 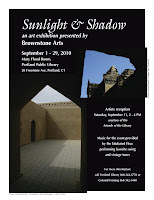 The exhibit runs from September 1st through 29th. For more information, call the library at 860-342-6770. Admission free! Come enjoy the art and the music.